A rose chosen as a tribute to Soham school girls Holly Wells and Jessica Chapman is to be unveiled at next month's Chelsea Flower Show. The pearl pink flower, grown by Hertfordshire-based Harkness Roses, has been named The Soham Rose after the poem written by Holly's father Kevin in his farewell to his daughter. It was read out by him at a service at Ely Cathedral in memory of the two 10-year-old girls who were found dead in August last year. Both the Wells and Chapman families will plant the blooms in their gardens in memory of their 10-year-old daughters who were murdered last summer. The rose has been specially selected by Robert Harkness who said: "It's not a revolutionary colour but in terms of its appearance, it is very beautiful. "It has been necessary to be very discreet and low key about it so we haven't had any direct contact with the families, but I understand they have been positive about it." The idea came from rose photographer Les Puskas who approached Mr Harkness, of Harkness Roses in Hitchin, after hearing the memorial service. Soham vicar The Reverend Tim Alban Jones, who acted as intermediary, said: "Obviously the families are touched by this as they are by all such gestures. "It is a fitting tribute to the girls - a beautiful rose for two beautiful girls." 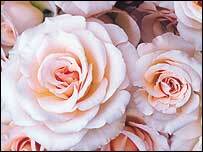 A quarter of the profits from the sale of the rose will go to the Holly and Jessica Memorial Fund. 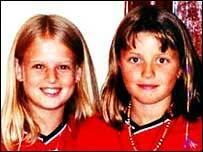 On Wednesday, Ian Huntley, of Soham, Cambridgeshire, pleaded not guilty to murdering Jessica and Holly. But he pleaded guilty to a charge of conspiring to pervert the course of justice. 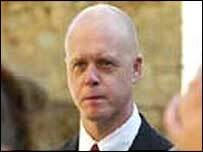 He appeared at the Old Bailey in London with his former girlfriend Maxine Carr. Miss Carr, also of Soham, pleaded not guilty to two offences of helping an offender and a charge of attempting to pervert the course of justice. The girls went missing on 4 August after being seen walking near their homes in Soham. Their bodies were found two weeks later in a ditch near Lakenheath, Suffolk. A trial date of 6 October was fixed at an earlier hearing.